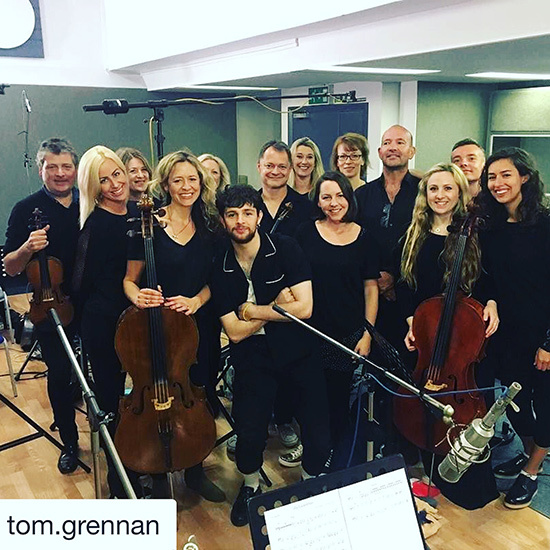 Rosie Danvers and Wired Strings have been busy recording strings for the highly anticipated debut album by Sony artist, Tom Grennan. Rosie worked with a host of top producers on the project, who included Sam Dixon, Jimmy Hogarth and Joel Pott. Strings recorded at Air Edel and engineered by Nick Taylor.